Mom to the rescue! Mrs. Bush is ready to tackle Trump the chump! Yippie! Republican attacks are getting very personal! 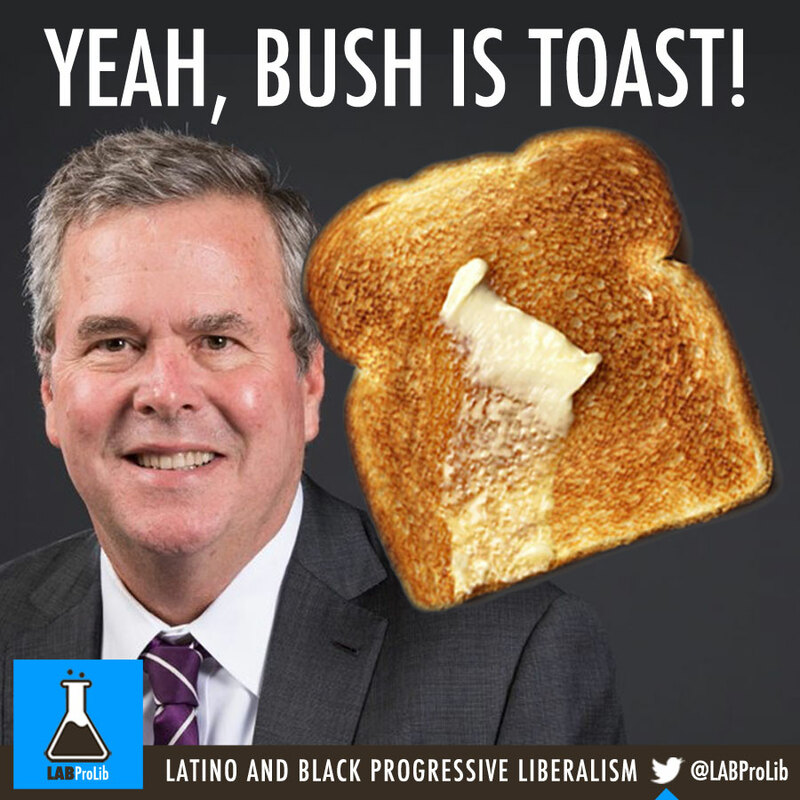 Jeb Bush tweets picture of his mom to Trump. This picture was not photoshopped. Creative or childish exchange? Donald Trump said that Jeb Bush “desparately need mommy to help him” after Barbara Bush appeared in a campaign ad (pictured) for her son. 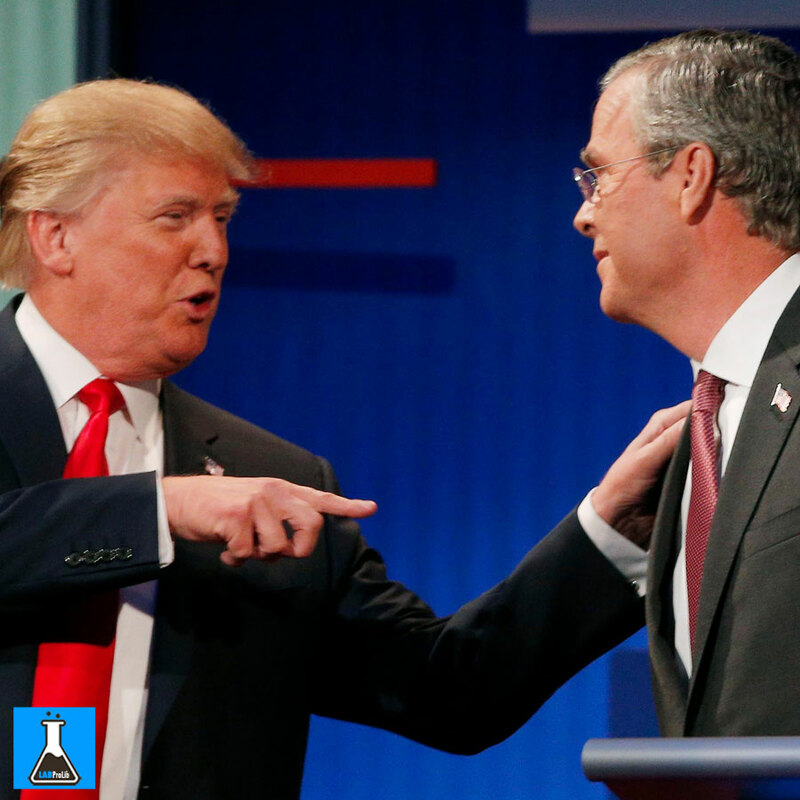 Republican presidential contender Jeb Bush trotted out his mother to make thinly veiled attacks on Donald Trump, though the GOP front-runner countered with a “barb” of his own. The former First Lady’s slight did not go unnoticed by the thin-skinned real estate mogul. Trump has continually needled Bush during his attempt at the White House for being “low energy” and took a playground-style swipe at his rival in response. “Just watched Jeb’s ad where he desperately needed mommy to help him,” the GOP front-runner tweeted Friday night. However, the former Florida governor had his own response to questions about his mother’s toughness. 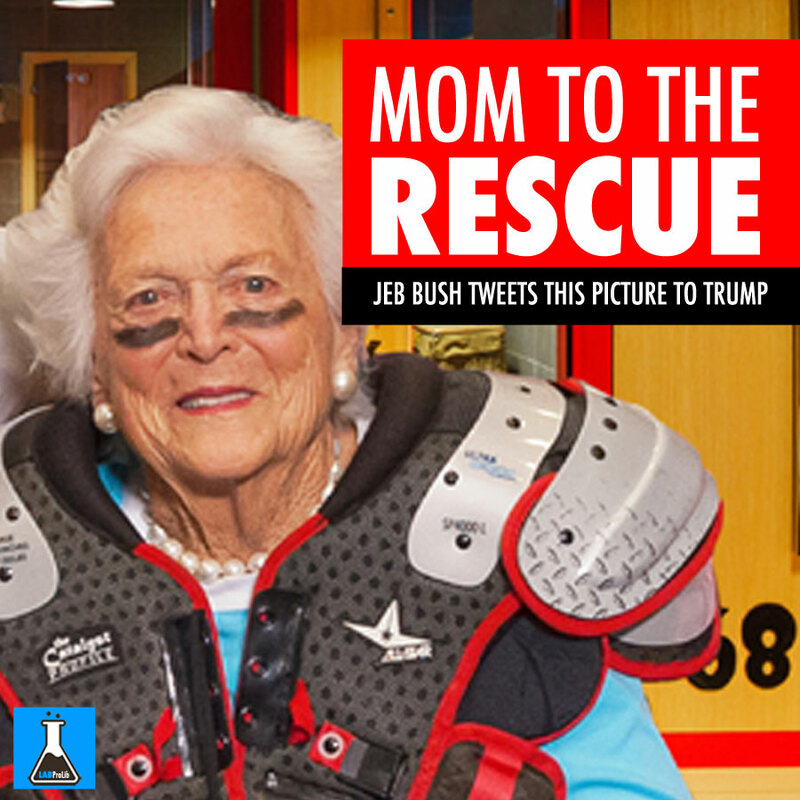 Bush responded by posting a picture of his mother in football pads and eye black, taken during a literacy campaign with Houston Texans’ JJ Watt. “I’d be careful Donald,” he captioned a photo of the Bush matriarch wearing football pads and eye black. The picture of the now 90-year-old appears to be taken from a snap of her with Houston Texans’ Pro Bowl defensive end JJ Watt. Watt teamed up with Bush’s foundation for literacy in Houston in 2014 and appeared in an ad encouraging parents to “tackle” the problem by reading to their children. 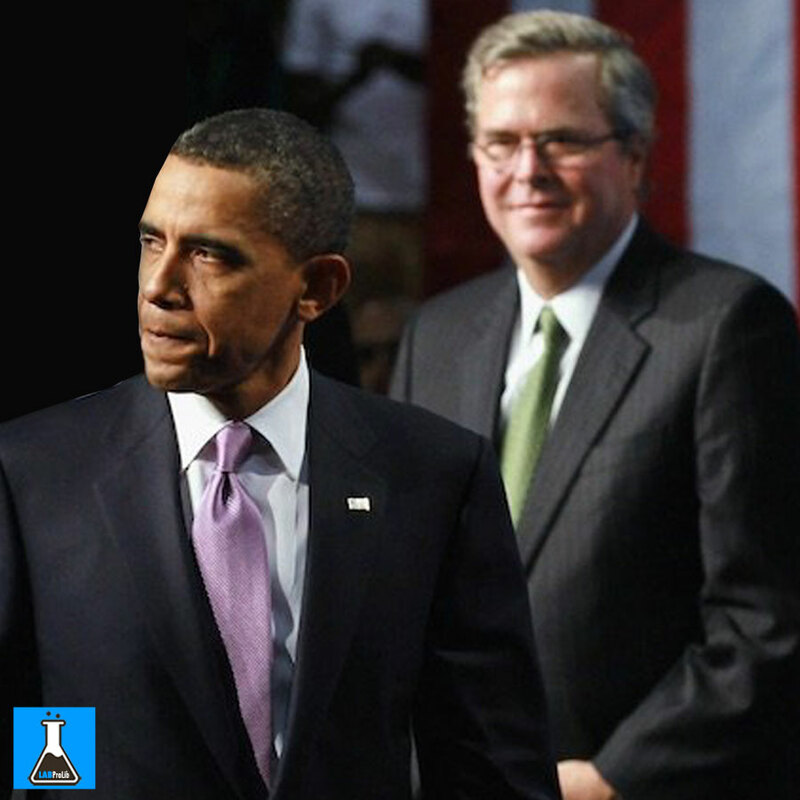 Jeb Bush called Donald Trump “a creature of Barack Obama” in the latest example of the former governor’s ever-present frustration with the billionaire businessman during an interview with NPR. “But for Barack Obama, Donald Trump’s effect would not be nearly as strong as it is,” Bush said. For his own candidacy, Bush downplayed the expectations that he must win some of the early contests for his candidacy to remain viable. On Wednesday Bush’s campaign announced yet another reorganization that will shift staff from its Miami headquarters to early states. The campaign also canceled previously scheduled ad buys in a signal that the campaign could be strapped for cash. Late last week, Donald Trump attorney Alan Garten sent a cease and desist letter to a wealthy Florida businessman named Mike Fernandez. Fernandez had paid for an ad in the Miami Herald that described Trump as a ” narcistic BULLYionaire.” Garten threatened legal action against Fernandez — a letter he also sent to James Robinson, the treasurer of Jeb Bush’s Right to Rise leadership PAC. On Wednesday, Charlie Spies, the D.C. based counsel to Right to Rise, sent an absolutely amazing response letter to Garten. It, in all its glory, is below. I annotated it using Genius. Sign up and join me! On behalf of our client, Right to Rise PAC, Inc. (“RTR”), we write to respond to your December 4th, 2015 letter, in which you state your intentions to “seek immediate legal action” against RTR should it produce and disseminate certain political communications that “directly and personally” attack your client, Donald Trump. Please be aware that RTR is a federal “Leadership PAC” that has never produced, and has no plans to produce, advertisements against your client, or any political candidate for that matter. As a Leadership PAC, RTR was organized to raise money to support conservative candidates through direct contributions. In fact, RTR has made almost $300,000 in contributions since its creation in January 2015. Unlike your client, we only support conservative candidates. It is possible you are confusing RTR with any number of federal independent expenditure-only committees (i.e. “Super PACs”) that have exercised their First Amendment rights to educate the public about your client’s public statements and stances on important public policy issues. We suggest you consult the Federal Election Commission’s (“FEC”) website (www.fec.gov) to familiarize yourself about the differences between Leadership PACs and Super PACs, or perhaps skim through the Supreme Court’s decision in Citizens United v. FEC or the D.C. Circuit’s decision in Speechnow.org v. FEC.They are both very helpful and might clear up some of your confusion. In addition, although RTR has no plans to produce any advertisements against your client, we are intrigued (but not surprised) by your continued efforts to silence critics of your client’s campaign by employing litigious threats and bullying. Should your client actually be elected Commander-in-Chief, will you be the one writing the cease and desist letters to Vladimir Putin, or will that be handled by outside counsel? As a candidate for President, your client is a public figure and his campaign should, and will, be fact-checked. The ability to criticize a candidate’s record, policies and matters of public importance lies at the heart of the First Amendment, as courts have repeatedly recognized. If you have the time between bankruptcy filings and editing reality show contracts, we urge you to flip through the Supreme Court’s decision in New York Times v. Sullivan. If your client is so thin-skinned that he cannot handle his critics’ presentation of his own public statements, policies and record to the voting public, and if such communications hurts his feelings, he is welcome to purchase airtime to defend his record. After all, a wall can be built around many things, but not around the First Amendment. Lastly, in light of your confusion over the difference between Leadership PACs and Super PACs, we have to assume you may also be unaware of the FEC’s prohibition on a federal candidate’s use of corporate resources for campaign purposes. Although your client may think he is above the law and be accustomed to using lawsuits to bail out his failed business deals, the Federal Election Campaign Act and the FEC’s Regulations nonetheless apply to him and his campaign. Perhaps the attached complaint, filed today, will serve as a reminder of your client’s legal obligations under federal election laws. Just as your client is attempting to quickly learn the basics of foreign policy, we wish you personally the best in your attempts to learn election law. Yes, we pride ourselves on being skeptical of the conventional wisdom here at FiveThirtyEight. You don’t have to look very far backfor examples of it being wrong, such as how it badly overestimatedthe degree of danger that Hillary Clinton’s campaign was in until a week or two ago. But being skeptical is not the same thing as being a contrarian. There are plenty of times when the conventional wisdom is right. This is probably one of those times. Could Bush ride out the storm? Maybe. But his problem isn’t a mere lack of “momentum”; his candidacy has always been flawed. Instead of being the most electable conservative — the traditional profile of the Republican nominee — Bush has never looked all that electableor all that conservative. It can’t be easy, in a campaign with Donald Trump, Mike Huckabee and Ben Carson, to say something that stands out in its craven pandering and utter cluelessness. 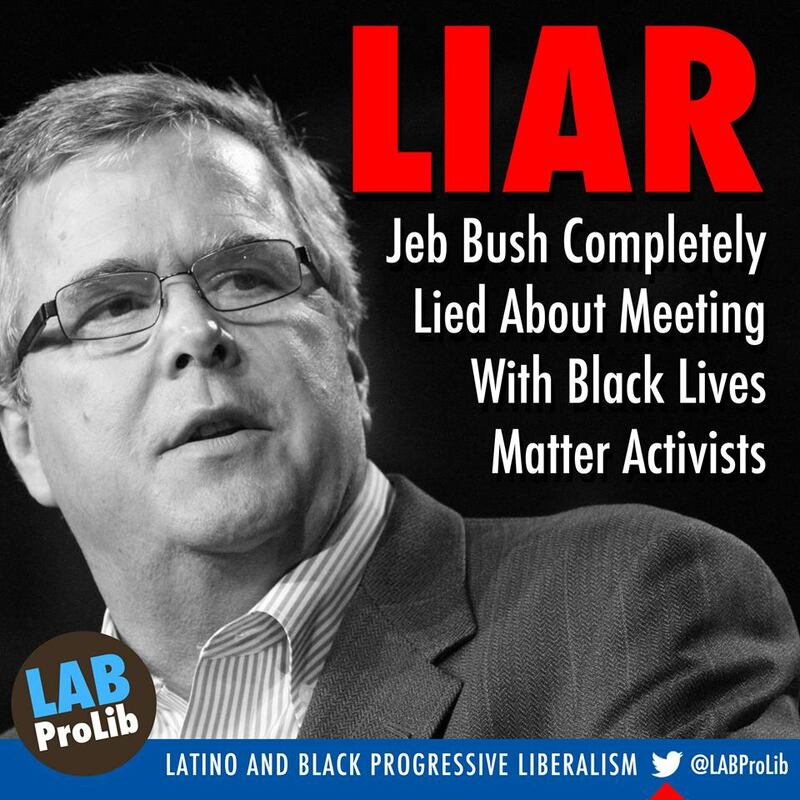 So congratulations to Jeb Bush, who yesterday managed both. Washington, D.C., is filled with hundreds of thousands of actual American citizens, including me. But Jeb Bush can get away with his lighthearted call for economic suffering for a major U.S. city because the “Washington” of Americans’ fevered imaginations is somehow to blame for all their problems. They hate Washington. Well guess what? We hate you more. Election after election, districts all over America send their village idiots to Congress to rule over us, to write our laws and to spend trillions of our dollars. Some of the people they elect aren’t qualified to spoon food into their own mouths, let alone serve in Congress. Steve King of Iowa has said undocumented immigrants crossing over from Mexico have “calves the size of cantaloupes” from carrying so much weed. Arkansas Sen. Tom Cotton wrote a letter to Iran’s leaders explaining the Constitution to them, got it wrong, and managed to get 46 of his fellow senators to sign on. These people are the human equivalent of those email forwards you get from your uncle who only wears one t-shirt, with a crying eagle holding an AR-15 on it. They don’t believe in climate change, and they think President Obama is a communist Kenyan Muslim who wants to destroy America by making sure people have health insurance. At this moment, Republicans can’t figure out who should be the next speaker of the House, one of the most powerful jobs in the government, because they can’t find someone who will break the government enough. The 40 members of the House Freedom Caucus – the only members of Congress who love freedom, I guess – want someone who will shut down the government unless President Obama orders a nuclear strike on Planned Parenthood clinics across America. (I think I have that right.) And they’re holding the process hostage until they find someone to satisfy their hunger for chaos. After breaking the government, they’ll go home to their constituents to join their complaints about how government just doesn’t work. It’s that dang Washington, D.C.! If only we could fix it! And those of us who live here in Washington? We don’t even get to write our own local laws without these yahoos giving us a meaty thumb’s up. Want to spend our own tax dollars on helping poor women pay for abortions? Nope, Jesus told Congress that makes him cry. Want to make marijuana more or less legal because the War on Drugs is destructive and immoral? Sorry, we need to review this Reefer Madness filmstrip first to see if that’s OK.
And, of course, when Congress does vote on our laws, we don’t get a vote. Republicans like Jeb Bush love to complain about Washington because we make an easy target, but it’s the representatives the rest of America send to our city who are mucking everything up. Oh, are you sick of all the partisan bickering? The influence of big-money lobbyists? The gridlock, the extremism? That’s not Washington; that’s you. 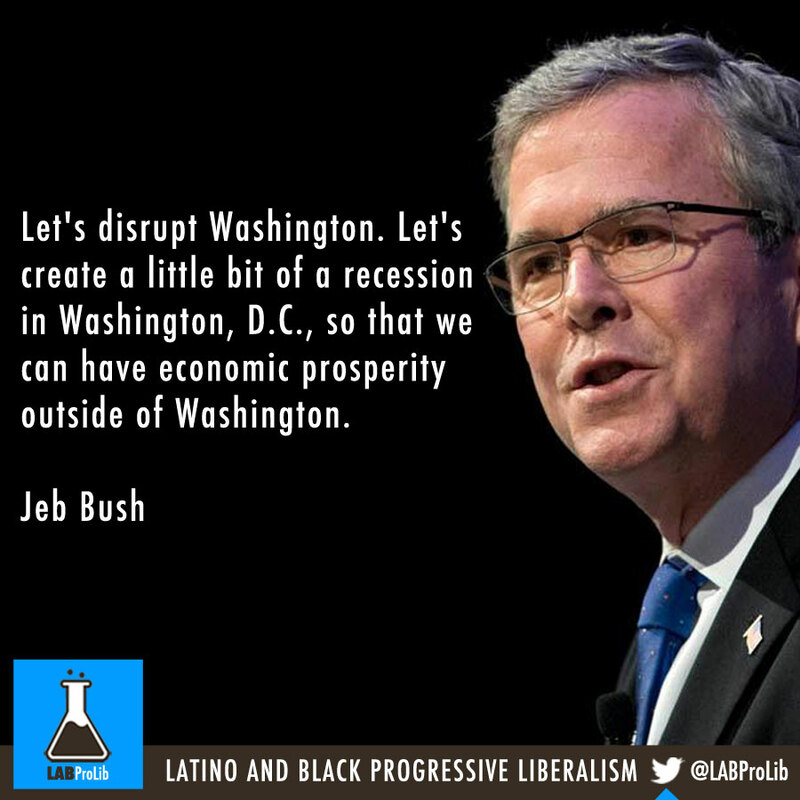 Bush suggests sending the city I live in into a recession. He’s joking, of course. But it’s a nasty joke, one that comes from ignorance and malevolence. And the governing philosophy behind it is very real. 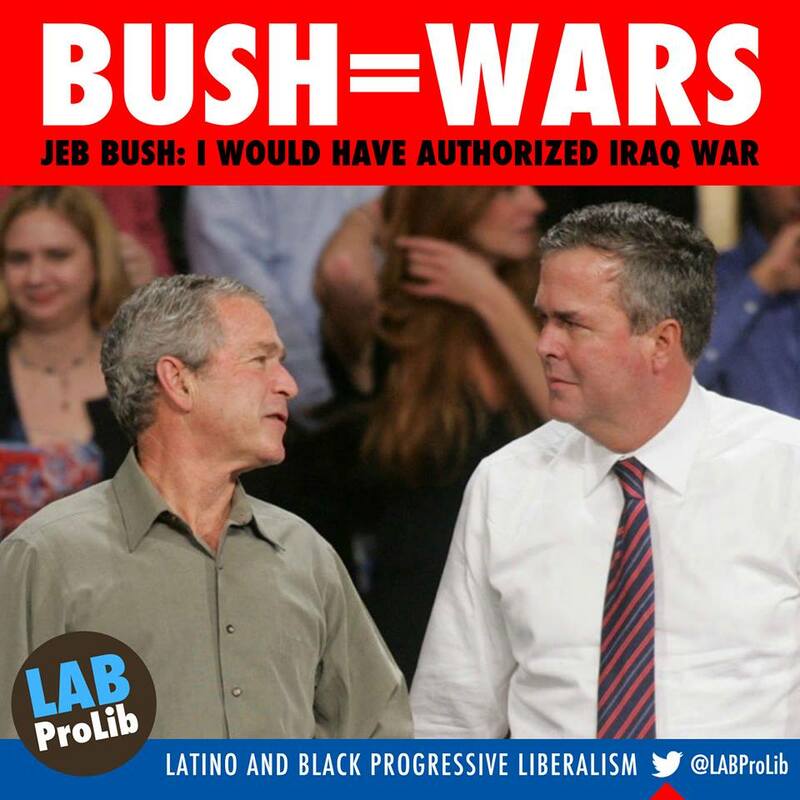 Bush – along with his dozen or so fellow candidates – wants to come to Washington to destroy it for the greater good. They think firing my neighbors who work for the federal government will somehow fix the problems back home. Do me, my neighbors and my city a favor and stop sending these folks here. Washington isn’t responsible for your problems. You’re responsible for ours. 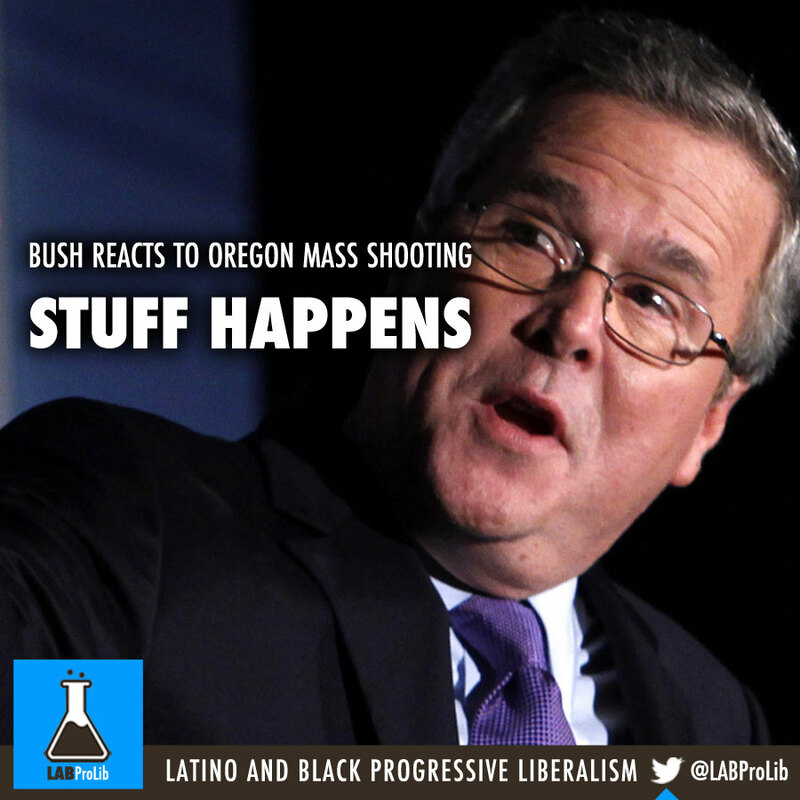 GREENVILLE, S.C. — Jeb Bush invited a firestorm on Friday by saying that “stuff happens” in reference to renewed calls for legislative action after tragedies like the mass shooting in Oregon. The inelegant phrase immediately set off a wave of criticism from observers suggesting he was playing down the scourge of gun violence and the tragedy on Thursday, in which a gunman killed nine people at a community college in Roseburg, Ore.
Mr Bush, taking questions from the state’s attorney general, Alan Wilson, was speaking about a pattern of proposing legislative responses that he said did not halt the tragedies they were meant to stop. Asked what he meant, Mr. Bush said he was talking more generally about the tendency to pass laws in response to tragic events. At the forum at Furman University in Greenville, S.C., Mr. Bush boasted of his pro-gun record as Florida governor, recalling awards he received from the National Rifle Association and noting that he once received a gun from the group’s former president, Charlton Heston. At a news conference in Washington, President Obama was asked to respond to Mr. Bush’s comments after being read a small portion of them. “It is sad and beyond craven that liberal Democrats, aided and abetted by some in the national media, would dishonestly take Governor Bush’s comments out of context in a cheap attempt to advance their political agenda in the wake of a tragedy,” she said.